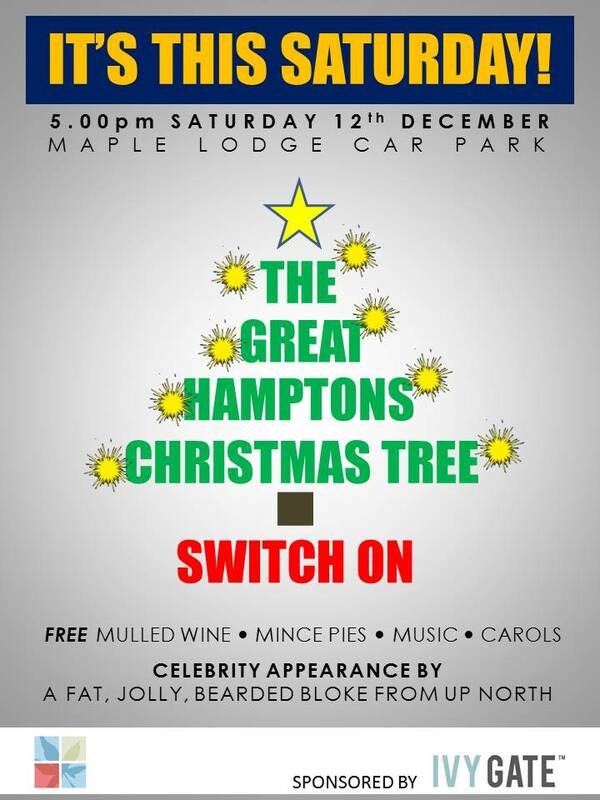 After last night's big Christmas Late Night event in the high street, tonight sees the Hamptons big Christmas Tree lights switch on event. 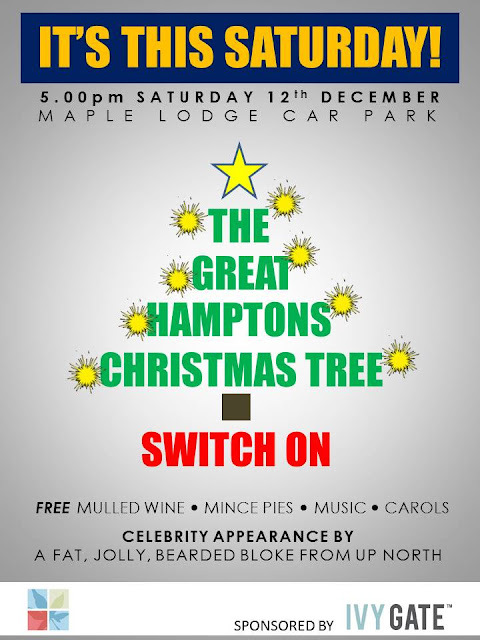 Far from being the mere flicking of a switch, the Hamptons are offering all the good people of Worcester Park free mulled wind and mince pies as they enjoy carol singing choirs and general good cheer. Father Christmas himself will again be gracing Worcester Park with his presence (or presents?) as he takes on the actual switch flicking duty.